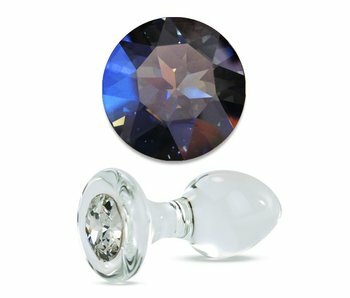 Unique and handcrafted, each Crystal Delights glass toy has been designed for both intimate and aesthetic enjoyment. 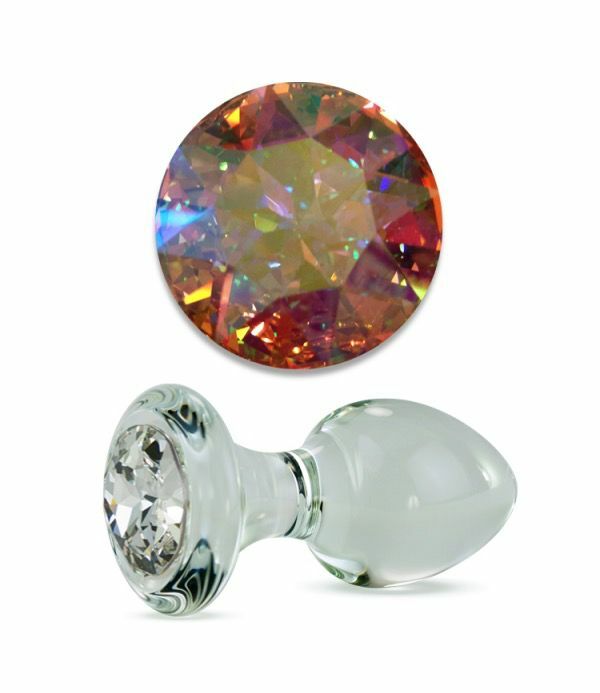 With no two toys exactly the same, every piece is an adult art sculpture with a special purpose in mind — with toys like this plug described wryly as "boudoir booty bling." 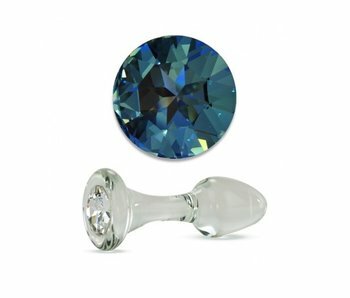 Designed for the perfect passionate interlude, whether alone or with a partner, the slender stem glides down to a flared base, ensuring the plug is comfortable once inserted and is safe to use. 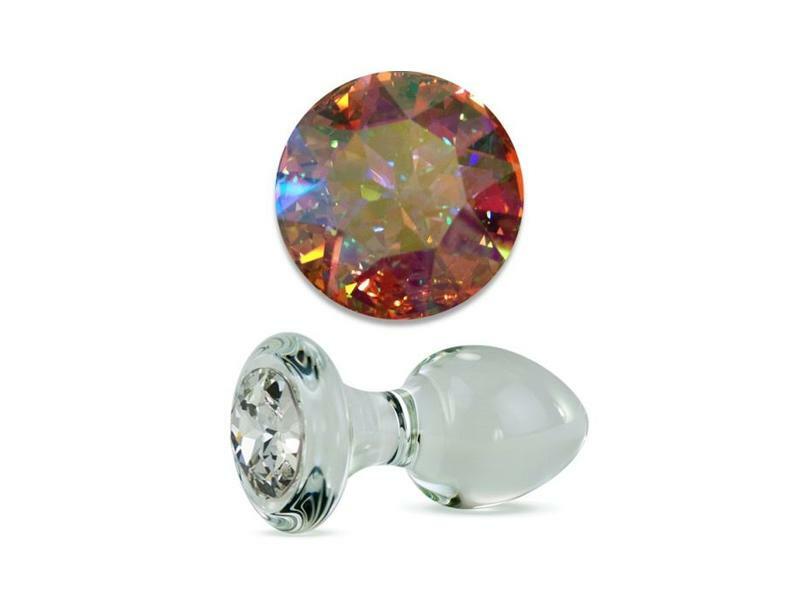 The flared base keeps the toy safely outside of the body, enabling it to be retrieved, guided, and removed anytime you wish. 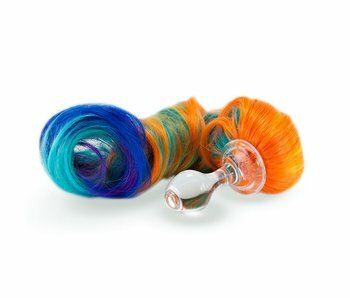 The sturdy borosilicate glass is also great for temperature play! 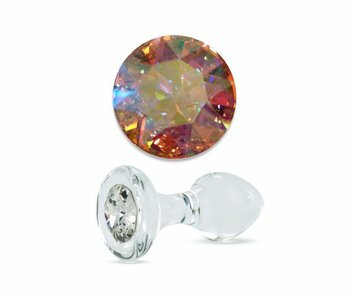 Each beautifully crafted piece includes a genuine Swarovski element crystal embedded in its base — offering a visually stunning experience for the wearer or the viewer. It also comes wrapped in its own custom “Made in America” protective black satin pouch for safekeeping, but you may just want to leave it out in order to admire its beauty! 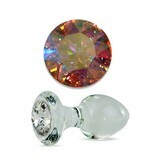 4" long, 3" insertable, 1.6" in diameter bulb, 7.1 oz.